Hear a retired Navy Commander’s official testimony about that time he witnessed a craft coming out of the ocean and flying alongside his plane. On February 10, 1951, Navy pilot and commander Graham Bethune was flying with his crew on a routine mission from Iceland to Newfoundland. On the final leg of their flight, a strange and unexplained incident took place, one that would mark the young Commander and his squad for the rest of their lives. Approximately 300 miles from Newfoundland, the men noticed an eerie glow on the surface of the water. The lights were powerful and spread over such a large area that the men fell under the impression they were flying above a large city. Almost instantly, the glowing UFO matched their altitude and forced Commander Bethune to disengage the autopilot and bring the nose of the airplane down in order to avoid a mid-air collision. The object then made a turn and headed towards them. Unsurprisingly, several on-board instruments began to malfunction as a direct result of the intense electromagnetic disturbances caused by the alien craft. All 31 passengers, the crew members and a psychiatrist witnessed the event unfold. After landing, the witnesses were debriefed, interrogated and forced to sign non-disclosure forms. Their testimonies were backed by radar data from an Air Force station in Goose Bay, Labrador. 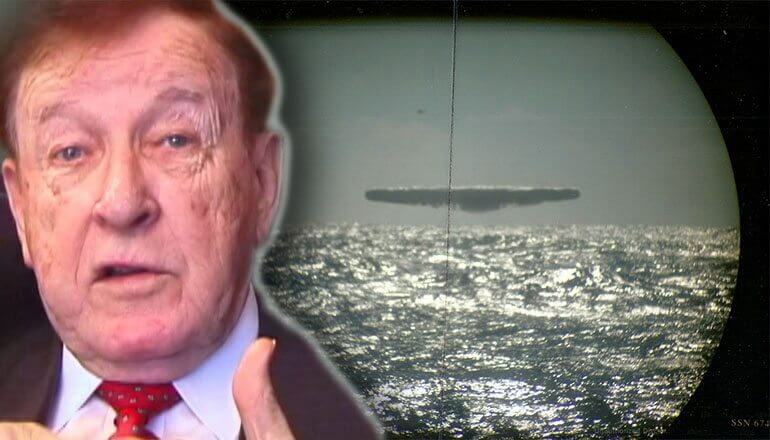 These two factors offer decisive proof that CDR Bethune and his crew witnessed a genuine UFO/USO incident.